So I was having breakfast in this diner I go to and I heard an artist I hadn't really listened to in quite some time. The guy's name is Louis Prima. Most people younger than myself don't know who he is. It's understandable, considering that he's from the Vegas limelight of the mid to late 1950's. However, some people may remember him through more of a pop culture window. 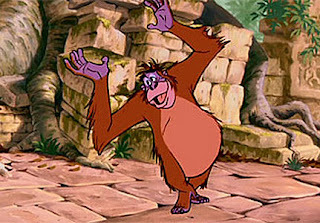 Anyone that saw Disney's The Jungle Book may well remember King Louie. Well that voice, my friends, was that of Louis Prima's. Well, he was one of the first big stars in Las Vegas. We're talking just before the Rat Pack came in and took his crowd. He would pack the Sahara's showroom every night with this mix of risque humor and swingin' jazz. It was like New Orleans, but wilder. He had the help of a great sax player by the name of Sam Butera, and his band, The Witnesses. Here you get a good example of the craziness of what this guy could do. Here I've given you guys an instrumental cover of Love of My Life (O Sole Mio) as well as a massively energetic stomper in St. Louis Blues. Definitely check this guy's catalog out if you're into this stuff. It's not all this frenetic, but just imagine watching a show that this guy put on! Next up is a track from a somewhat forgotten band from the late '90's. 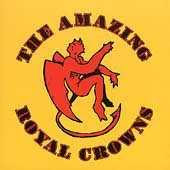 They were the Amazing Royal Crowns and they hailed from Providence, Rhode Island. When I was still living up in the Boston area, I had heard about these guys, and am pretty pissed I never got to see them live. Tons of energy like you've never seen, and probably never will. They're classified as "psychobilly" and this is the first track off of their self-titled debut. Yep. The obligatory message reminding you to not be a leech and go buy this stuff! If you download and not support the artist? A kitten somewhere dies. Or a limbless kid contracts a venereal disease. I dunno. Just go buy this stuff!